Play Framework 2 RC2 has been released and it is quickly becoming a mature and productive way to build modern web apps. 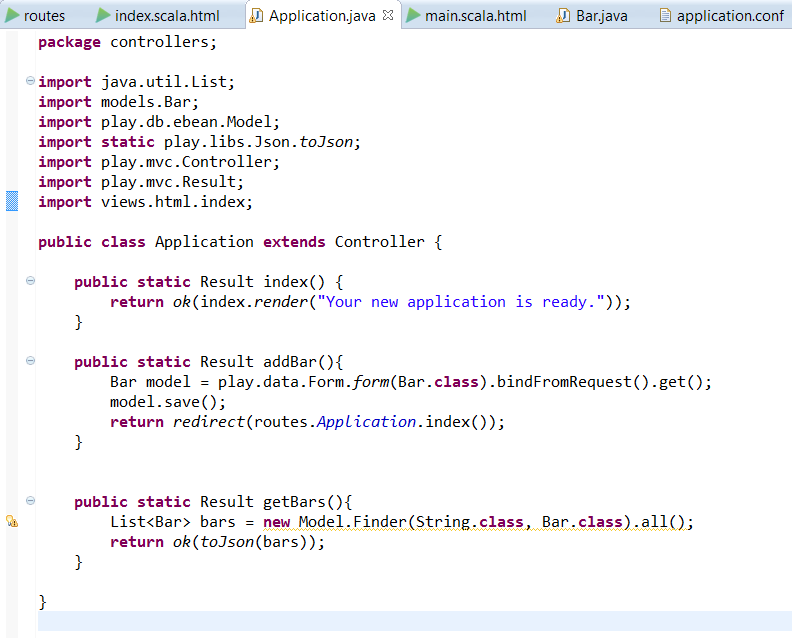 Lets walk through building a quick app with Play 2, Scala, Anorm, JSON, CoffeeScript, and jQuery. Once the app works locally we will deploy it on the cloud with Heroku. # You can declare as many Ebean servers as you want.